It was the beaches that first lured you to Bangladesh. Cox’s Bazar is the longest uninterrupted beach in the world. The entire world. It has golden sand, a gentle slope, and old-fashioned fishing boats. It’s bordered by high cliffs and Buddhist temples. And it’s one of the most visited spots in the entire South Asian country. So you decided to leave. You hadn’t planned on exploring more of Bangladesh. After a few days on that gorgeous beach, you intended to continue heading east. Myanmar’s border wasn’t very far away. Northern Thailand was beyond that. But you were enchanted with the high green hills behind the beach. You were promised royal palaces and kyangs (temples), waterfalls and cooler temperatures. 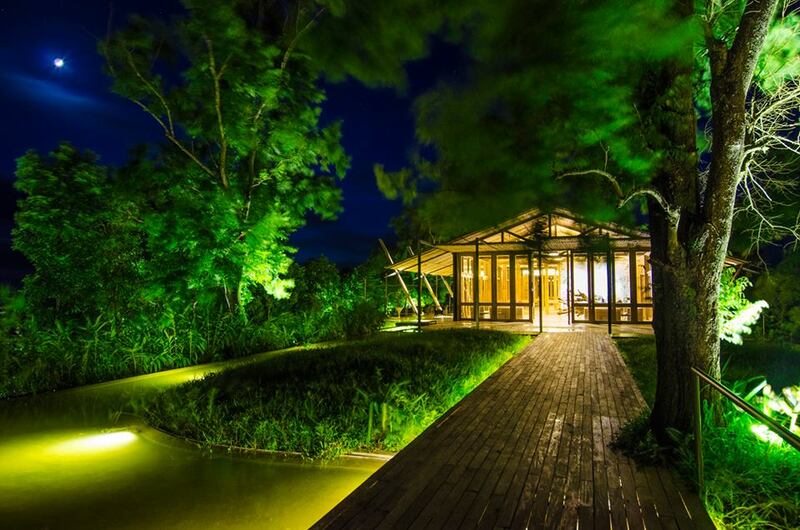 You heard rumors of a little eco-resort, as well. It was a long, slow drive from Cox’s Bazar to Bandarban. The estimated travel time was three hours, but you passed that marker long ago. 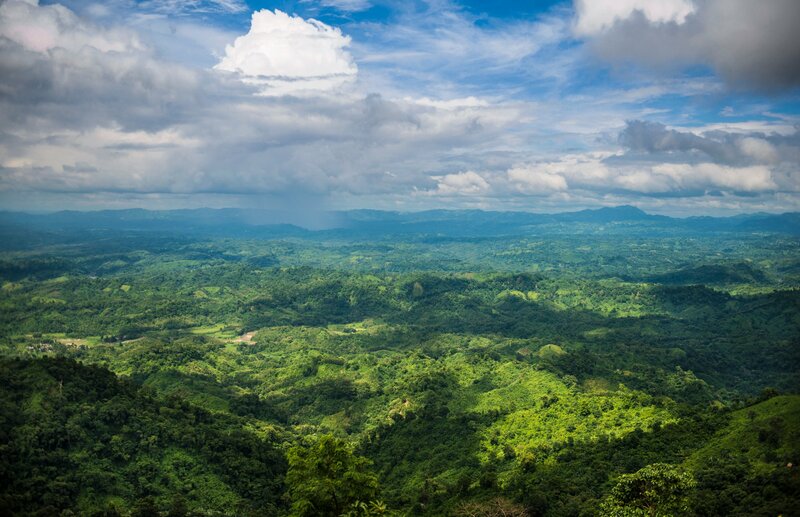 Bandarban is the most remote, as well as one of the least populated, areas in Bangladesh. The heavily forested land was part of the Kingdom of Arakan before the British arrived at the end of the 17th century. A Japanese invasion during World War II and the Bangladesh Liberation War, during which the local people sided with the Pakistanis, created further disruption. It’s been quiet and peaceful since then. The Marma people intend to keep it that way. But back to the increasingly gorgeous scenery along the slow drive. You stopped at Buddha Dhatu Jadi (the second-largest Buddha statue in the country), Shoilo Propat (a famous waterfall), the Tribal Cultural Institute (a library and a museum), and one of the royal palaces as you ascended into the mountains. Lakes—Prantik and Kyachlong—were in the distance. The curving Sangu River met the road a few times. Both kyangs and mosques were practically hidden in the dense jungle. While the air did indeed keep getting cooler. As the sun started its descent and the road tightened yet again, you started to feel weary for the first time. Maybe this was a bad idea. You could be ending the day with a drink along the Bay of Bengal instead of getting lost high above it. It was only then, when your patience was practically depleted, that you reached Sairu Hill Resorts. The hilltop resort is stunning. Its buildings, made mostly of local bamboo and stones, stand on stilts to protect the surrounding land. Rainwater collection, composting, and organic gardens make it even more eco-friendly. Your spacious room has high ceilings, a king-size bed, and views from the balcony that extend all the way to the Bay of Bengal, since it’s a clear evening. The infinity pool and the jacuzzis, to which you’re heading, have the same view. The gods have certainly rewarded you for your long journey.